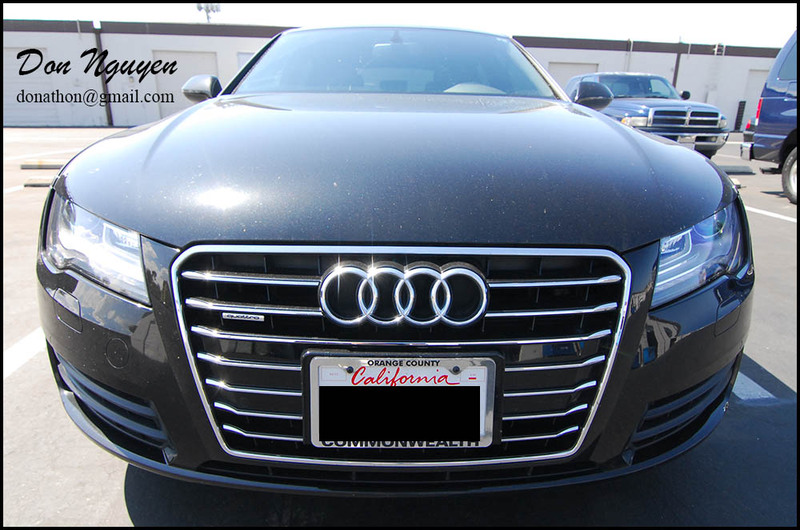 The owner of this black Audi A7 Quattro had me do quite a bit of work for his car. He had me black out his chrome window trim with my gloss black vinyl and also Plasti Dip his wheels, front grill, and rear badges in matte black. Just changing those few items completely changed the look of the car. It gave the car a more aggressive look and stance. By getting rid of all of the chrome on the car at the same time, it really made everything flow together quite well.